The headquarters for a non-profit apprentice training program that helps previously incarcerated individuals rebuild their lives. Trade Institute of Pittsburgh (TIP) was one of the first tenants to invest in revitalization of an underutilized warehouse in a challenged neighborhood near where many of the apprentices reside. 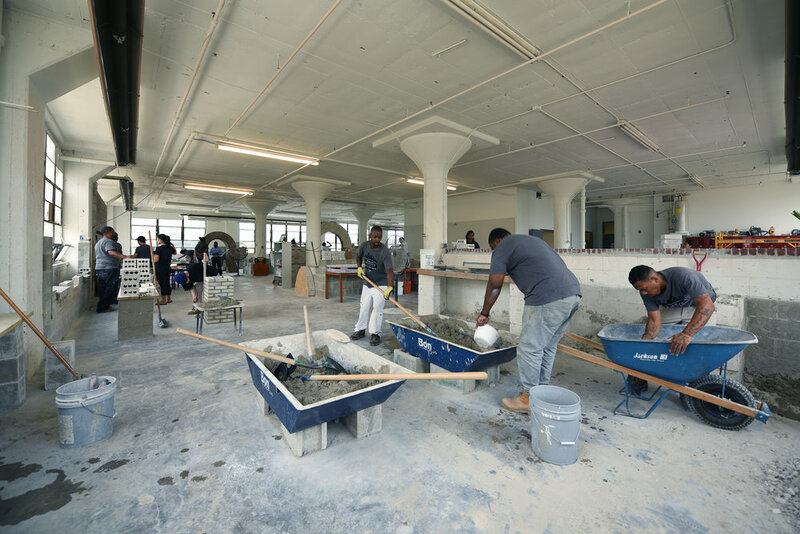 The program’s foundation is in masonry training. TIP relocated to expand their capacity for providing mission-critical programming. The project design and construction needed to be completed quickly and meet a $37/sqft budget. 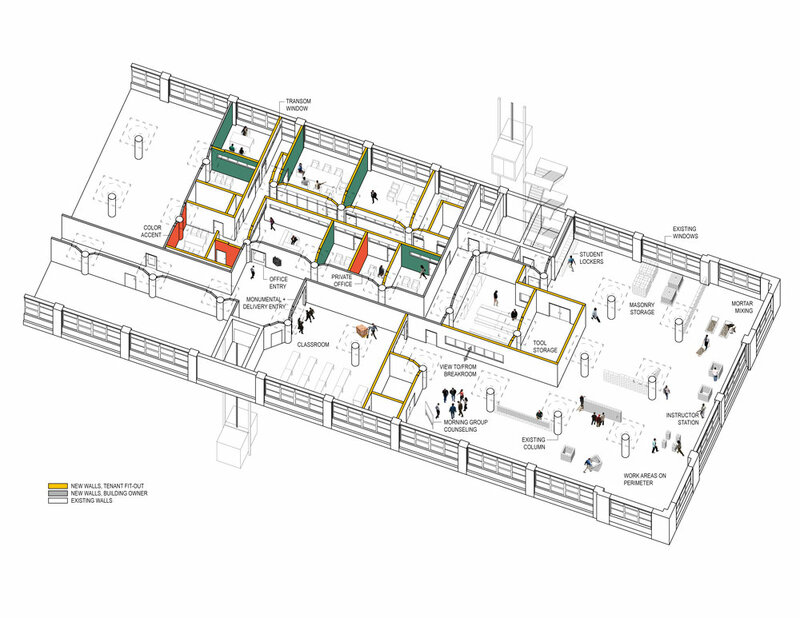 During a design charrette, the program was divided into working spaces for masonry instruction and clean spaces including a classroom, break room, and administrative offices. Public and private spaces were separated by paths of circulation. A compositional game was played to balance simple systems with assets of the existing building and programmatic requirements. New planes connect existing columns to delineate space. 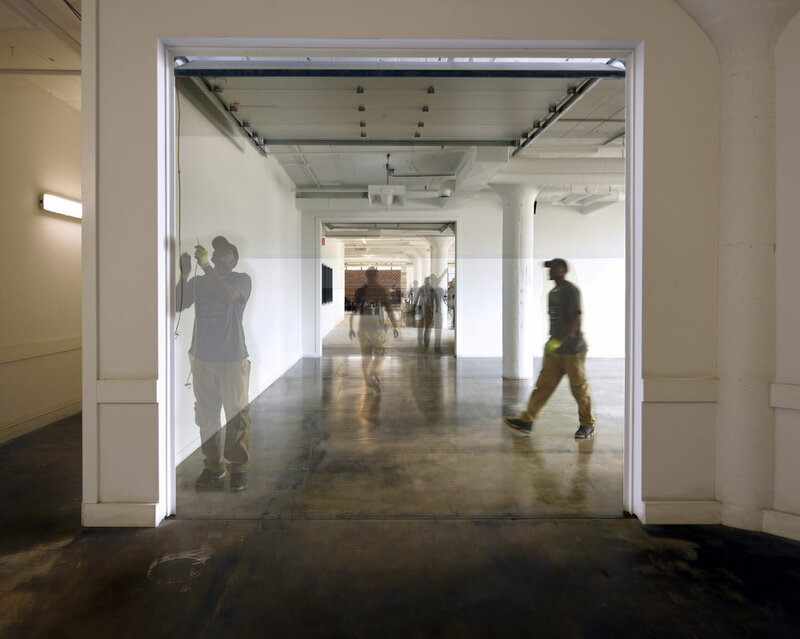 Stock components create strategic connections between spaces through physical access, visual transparency, and light. 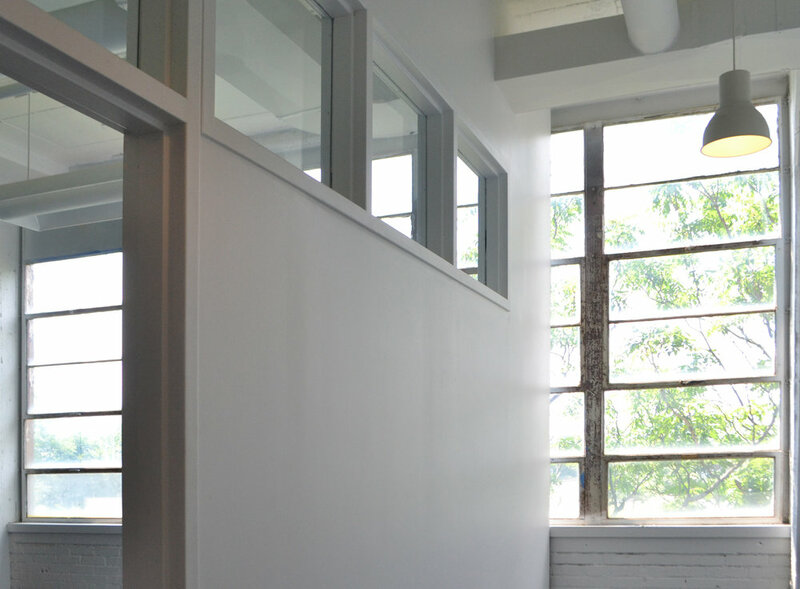 The masonry workshop reflects its utilitarian function with original warehouse elements and new white paint. 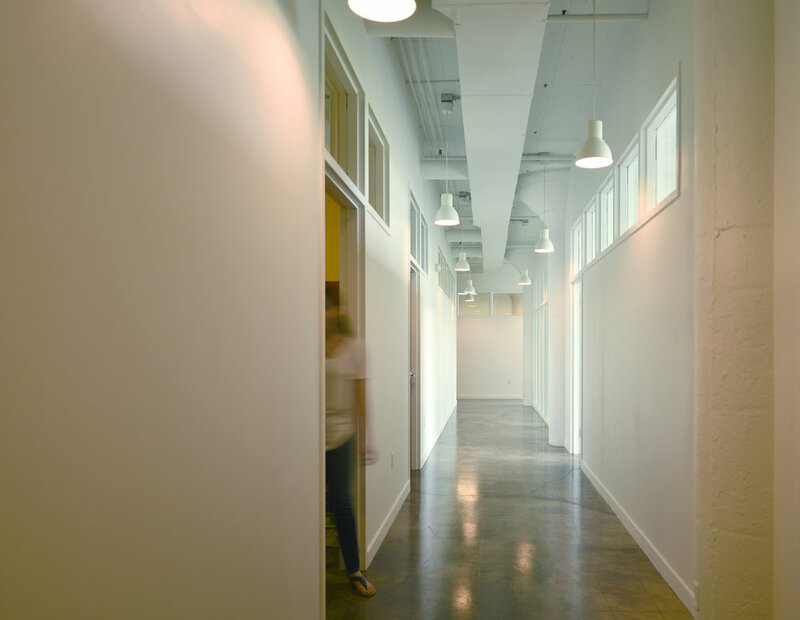 Offices balance light with the privacy necessary to provide support services for their students. Detailing was developed to be completed by TIP graduate apprentices looking to expand their job skill sets in fundamental commercial tenant fit-out work. Building systems were left exposed to use as an educational tool for students in training. The tenant fit-out was completed on budget which has allowed TIP to focus their resources on increasing enrollment and providing support services for their non-profit programs.